Himiko’s world is falling apart. An attack by the Ookami clan has left many from her tribe dead or enslaved. And those who remain in the ransacked Matsu village are certain they’ve angered the gods. Amid the chaos and fear, Himiko hatches a plan to save her beloved tribe. Traveling through the treacherous wilderness with her best friend Kaya, their only goal is to free her clanfolk from the Ookami. At every turn she encounters other tribes and unforeseen challenges. But just when it seems that she will outwit Ryu, the cruel Ookami leader, she is captured. Held agains her will, Himiko starts to realize that not all of the Ookami are her enemies and every step of her unconventional journey has prepared her for something greater than life as a princess. 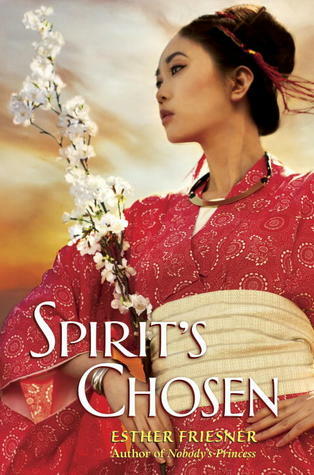 Though she may not see her path as clearly as the spirits seem to, there’s more adventure (and even unexpected love) for this young shamaness and warrior.